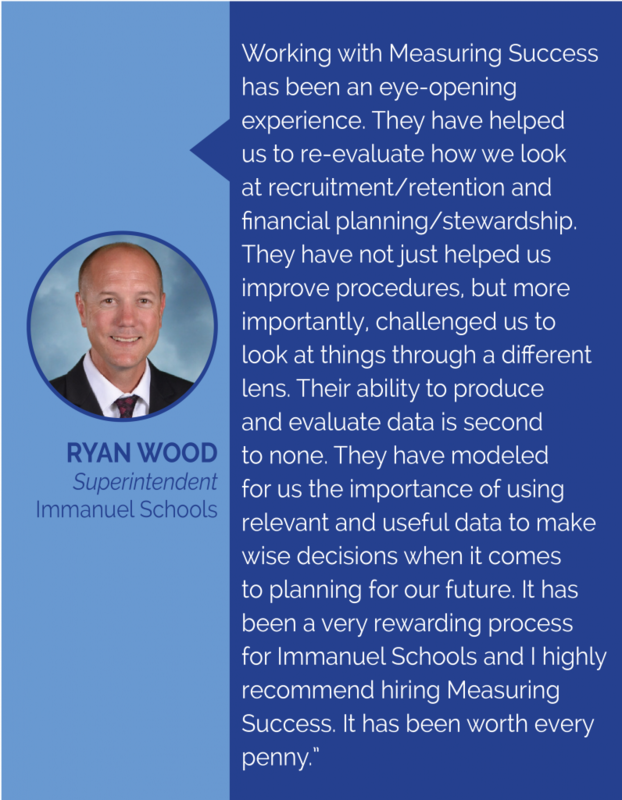 The Challenge: Immanuel Schools wanted help ensuring enrollment growth for their newly expanded elementary school and financial benchmarking and planning for all divisions. Deliverables: Measuring Success provided briefing books and dashboards during the process and a report on recommendations at the conclusion. The Approach: Measuring Success compared benchmarking data from peer schools in the Central Valley area, coordinated working group meetings, briefed school administrators on final recommendations.